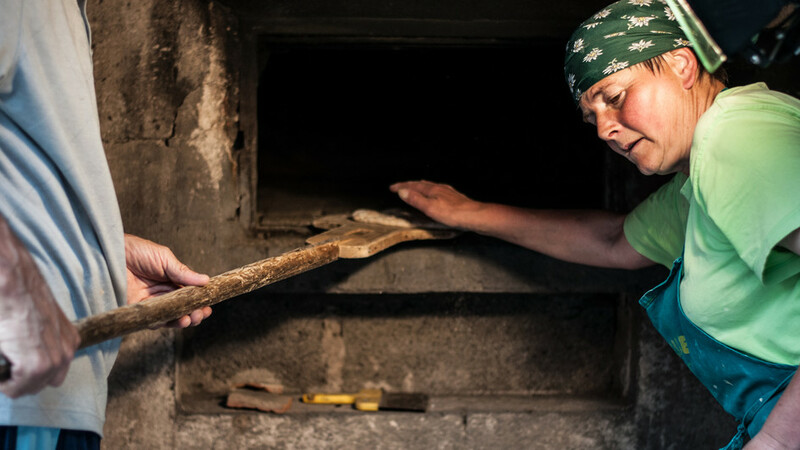 Quite close to the mountain living hotel, roughly 1,3 km away, is located the farm "Rischterhof", which produces exclusively traditional bread for the La Casies. 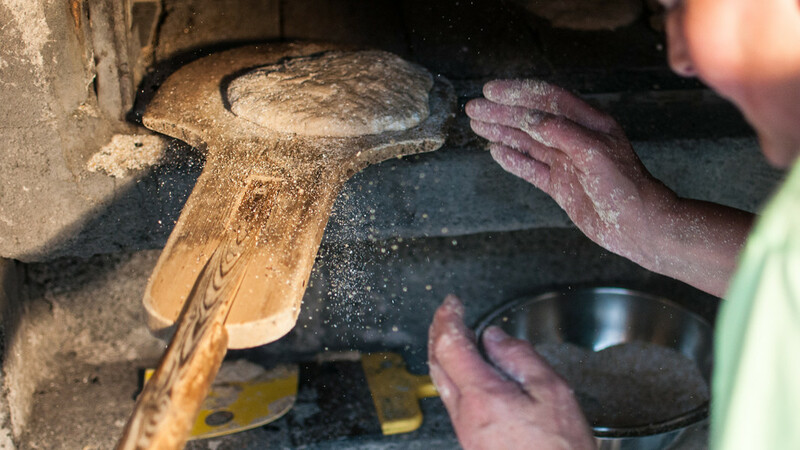 As they used to manufactore 100 years ago, so the "Rischterhof" is still producing nowadays their bread. 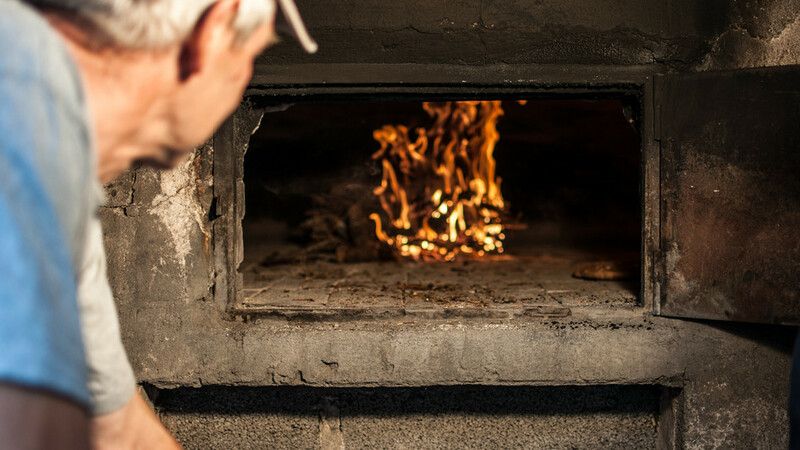 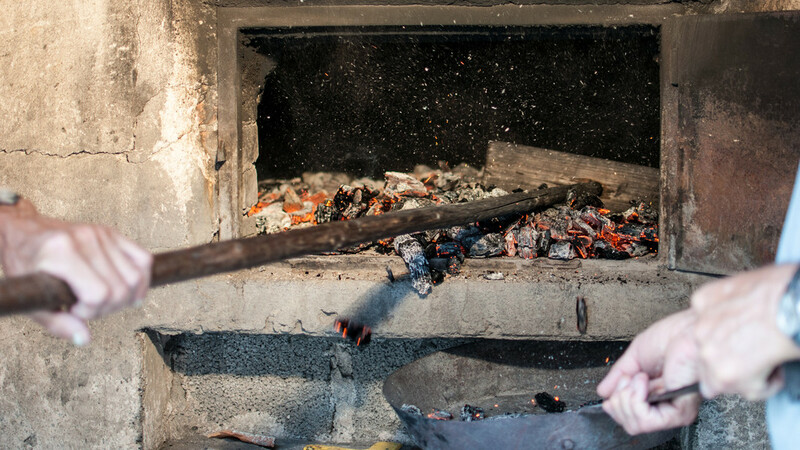 Before the bread is going to be baked, the stone stove has to be heated up with wood. 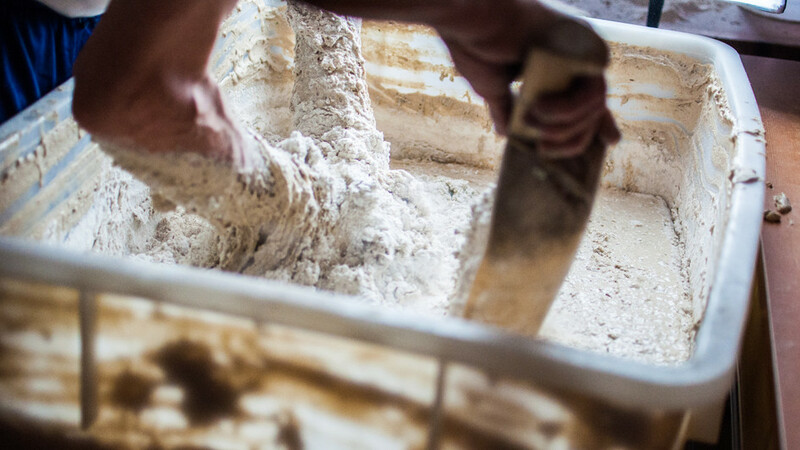 During that, the dough is prepared by hand. 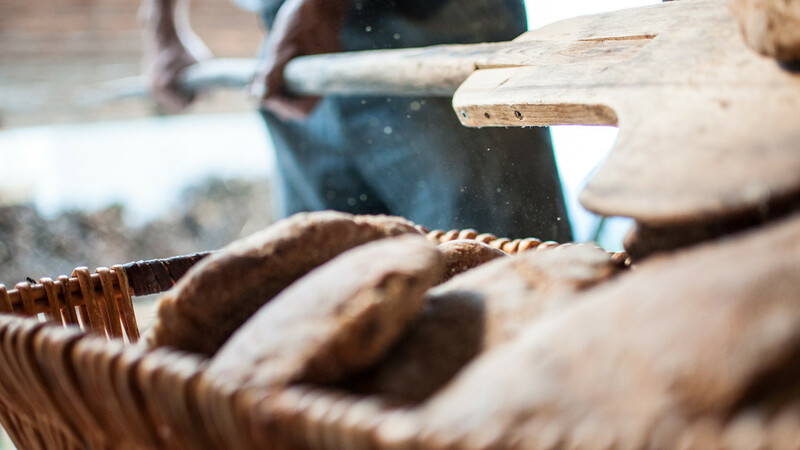 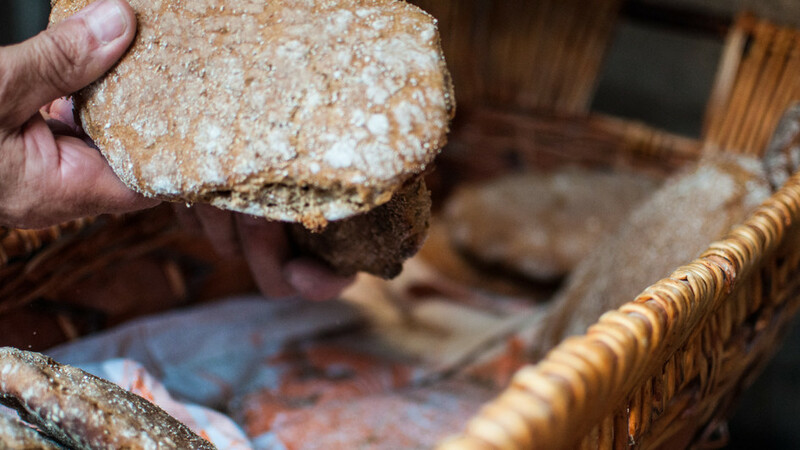 It mainly consists of water, rye flour, yeast and typical regional spices and herbs. 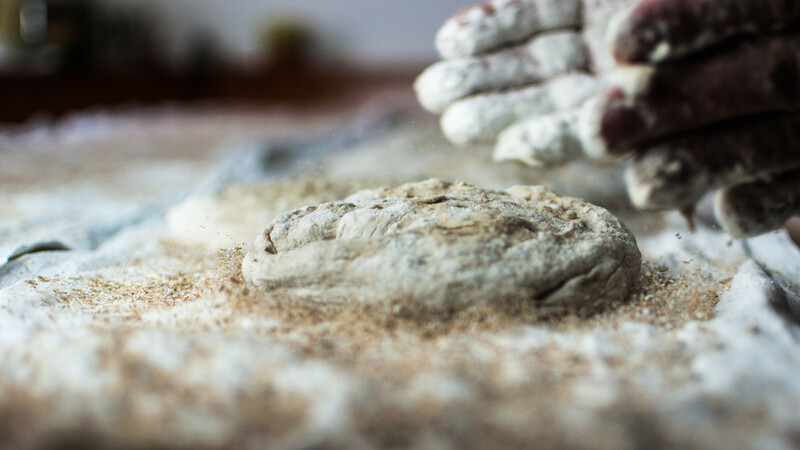 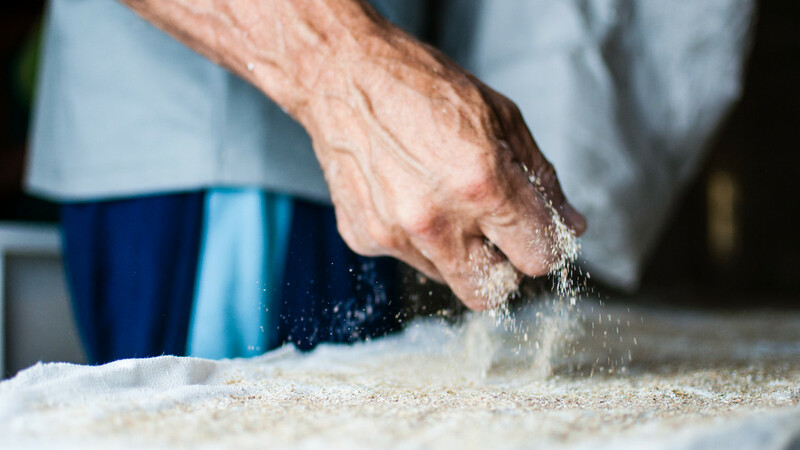 After the dough has the right consistency, the loaf of bread will be formed with the hand. 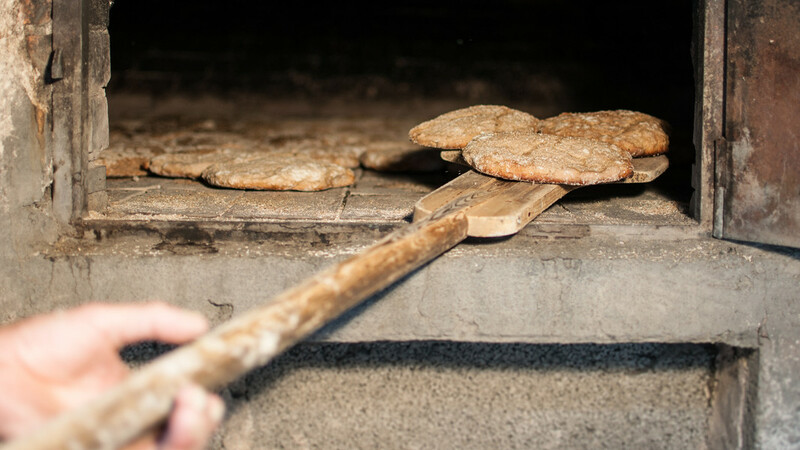 Right before the loaf is going to be uplifted in the stove, the oven has to be releieved from the fervency. 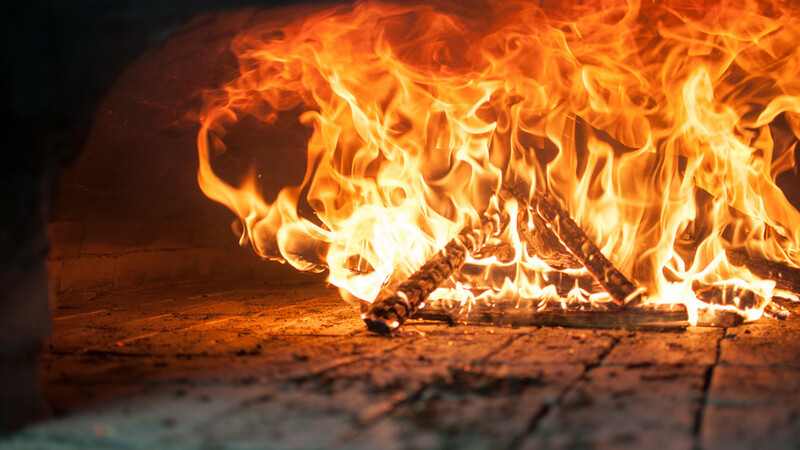 Just a couple of minutes in the stove is needed and the bread is finished. 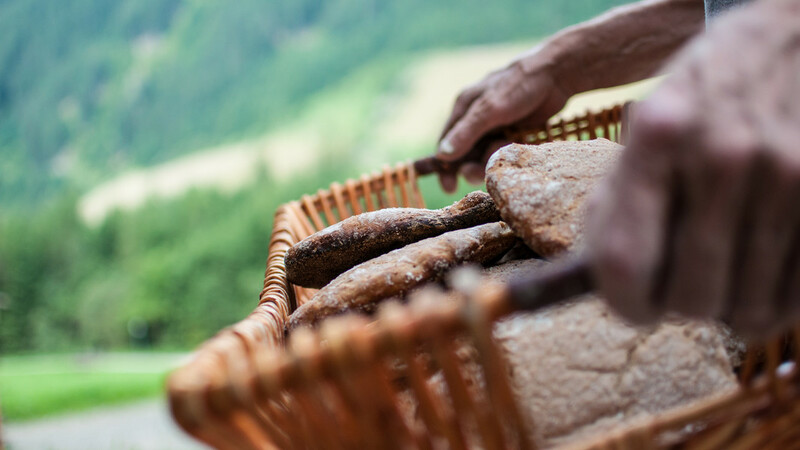 Very crunchy, aromatic and full of authentic flavour, it will be served on the Messner mountain lodge, always when we hike there with host Sepp, in order to taste it together with freshly made farmer butter.